SOIL was honored to join bright minds from around the globe to discuss solutions to some of the world’s most intractable problems during last month’s Global Innovation Week in Washington D.C. The Innovation Marketplace, hosted by USAID’s Global Development Lab, welcomed SOIL and other global innovators to showcase new technologies and interventions in the WASH sector and beyond. “Molly Case, deputy development director, spoke about the [SOIL’s] founding, approach, and scalability. Dr. Sasha Kramer, who has a PhD in Ecology, founded the nonprofit and worked with local communities to “build a solution that is climate positive and disaster resilient,” says Case. That resiliency enabled SOIL to work in the challenging conditions of internally displaced persons camps in Port-au-Prince after the 2010 earthquake. 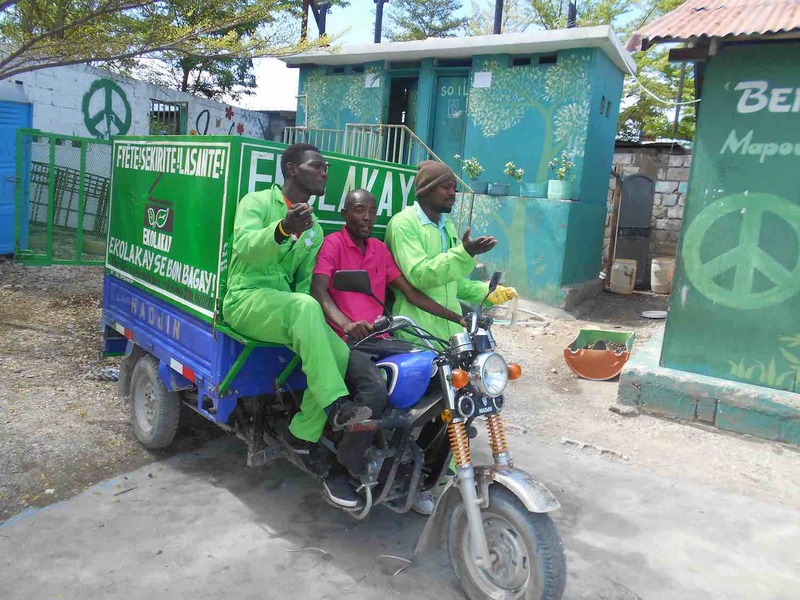 Today, SOIL’s EkoLakay toilet service employs a container-based approach to sanitation. EkoLakay is a household service where customers pay a monthly fee and receive a modular EcoSan toilet, which separates urine and solid waste into separate containers, with solid waste falling into five-gallon buckets that can easily be capped and removed. Households receive a supply of carbon-rich cover material (bonzodé, or good smell, in Creole) made of agricultural waste that is used for “flushing” and eliminates flies and odors. Every week the SOIL team collects the capped buckets. The waste is transported to a treatment facility where it is transformed into compost—a six-to-nine-month process. EkoLakay customers pay a monthly fee of approximately $3; SOIL anticipates the service will be fully financially sustainable in the next three to five years through a mixture of public and private financing. Interested in reading the full article? Follow this link to learn more. No Replies to "USAID's Global Waters: Innovation for the World's Most Intractable Problems"